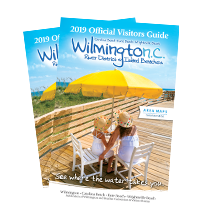 With the Cape Fear River to our west and Atlantic Ocean to our east, Wilmington and our Island Beaches have a rich and storied nautical tradition. From scenic water cruises up the Cape Fear to sailing or fishing adventures around and off our barrier islands, hop aboard and see where the water takes you. Board a vessel at the foot of Water Street in downtown Wilmington and see our award-winning Riverwalk from a unique vantage point. Bizzy Bee Water Taxi offers sightseeing trips and boat transportation between Chandler&apos;s Wharf, the foot of Market Street and Hotel Ballast, Tapestry Collection by Hilton. Cape Fear Riverboats offers several sightseeing tours along downtown Wilmington and up the cypress-lined Northeast Cape Fear River. 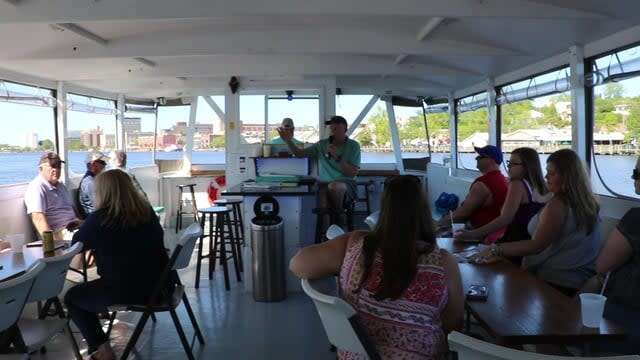 In addition to private charters, Wilmington Water Tours offers historic eco-tours, sunset adventures and narrated treks along the Cape Fear River. For a taste of the finer life, board a yacht with Wilmington Yacht Charters and impress the love of your life or your business associates with a one-of-a-kind luxury water tour. Step off the beach and sail our island blue waters. Or better yet, let someone guide you into the sunset while you enjoy food, drink and a sunset you won&apos;t soon forget. La Dee Dah Sunset Cruises offers a special sunset cruise experience—a perfect choice for date night or an unforgettable vacation excursion with friends. If you&apos;re looking for a themed cruise or narrated adventure, join one of Wrightsville Beach Scenic Tours many expeditions—eco-tours, birding adventures, sunset cruises and more. Epic Excursions offers a variety of island excursions including private half and full day charters, paddleboarding charters, surf charters and sunset cruises, and glamping (glamorous camping) adventures sure to delight everyone. The Winner Party Boat Fleet runs moonlight dance cruises and narrated sunset cruises out of Carolina Beach, as well as educational tours, dinner cruises and specialty holiday cruises. Set sail with Shamrock Sailing Adventures with Captain Jim and experience two-and-a-half hours of breathtaking scenery, bird watching and maybe a dolphin or two. 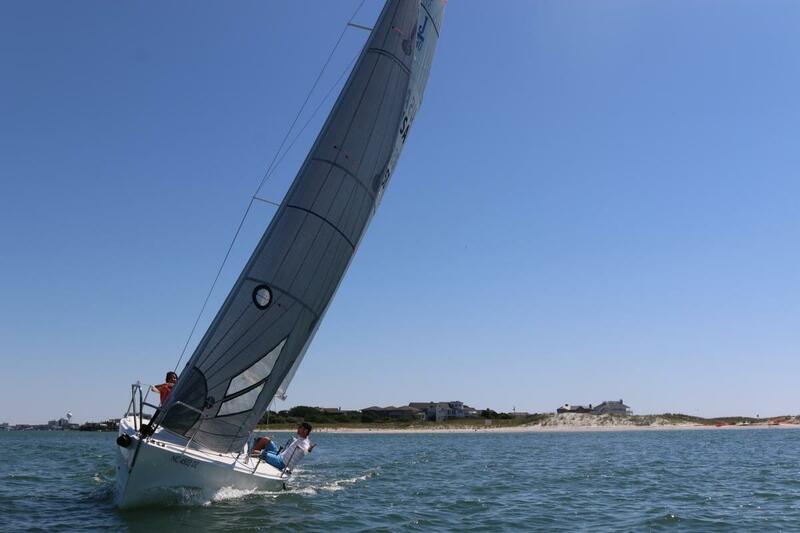 Hop aboard with Wrightsville Performance Sailing and take the helm aboard a beautiful J/80 or simply sit back and let their experienced captain sail you around the island. Offshore or inshore, our coastal waters offer some magnificent fishing for first-timers, lifelong anglers and all skill levels in between. If you&apos;re looking for a family adventure in Carolina Beach, board a half-day charter at the Carolina Beach Fishing Center and Marina in the morning, and you&apos;ll still have time to spend the afternoon on the beach. A number of fishing charter companies are available to take you where you want to go. 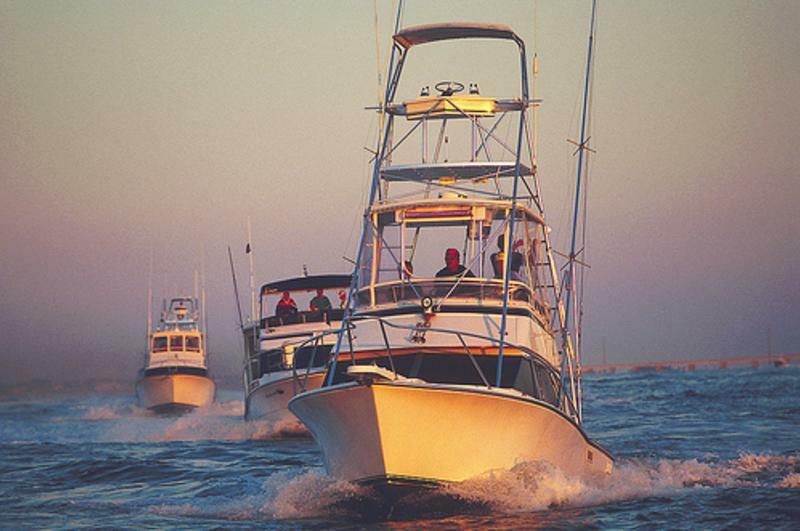 There are also several fishing charters that operate out of Wrightsville Beach. Most boats dock and unload at Bridge Tender Marina, Dockside Marina and Seapath Marina.